Welcome to CarDetailing.com! The best mobile detailing for cars, trucks, vans, SUVs, motorcycles, boats, RVs, and more! We detail everything! 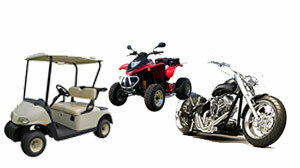 Cars, Trucks, Vans, SUVs, RVs, Travel Trailers, Motorcycles, Scooters, ATVs, Golf Carts, Buses, Semi Trucks, Boats and more! 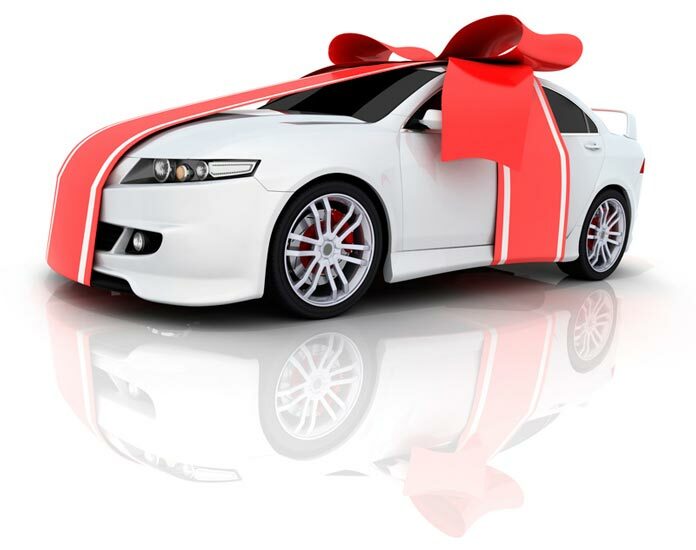 Give the gift of a clean and shiny ride to that special person on your list! We provide gift certificates for all occasions and can send you a customized certificate which you can print yourself, or we can send it directly to your recipient by email. • Debra from Palm Coast, FL : completed their service! • Brian from Bedford, NH : completed their service! • Franklin from Tampa, FL : scheduled their service! • Lisney from ELMWOOD PARK, NJ : scheduled their service! • Franklin from Tampa, FL : requested their service! • Richard from Dallas, TX : completed their service! • TIMOTHY from UPPER ARLINGTON, OH : requested their service! • Carol from Watauga, TX : completed their service! • Lisney from ELMWOOD PARK, NJ : requested their service! • Jeffrey from Jackson, NJ : scheduled their service! • Heather from Franklin, TN : requested their service! • Joshua from Folsom, CA : completed their service! • Jeffrey from Jackson, NJ : requested their service! • Jeffrey from Dayton, NJ : requested their service! • Amanda from Denton, TX : scheduled their service! • Amanda from Denton, TX : requested their service! • Jennifer from Sterling, MA : completed their service! • Amy from Beaverton, OR : scheduled their service! • Nirmala from Seattle, WA : scheduled their service! • Marco from Jersey City, NJ : scheduled their service! • Mary from Rochester, NY : scheduled their service! • Marie from Lakeway, TX : scheduled their service! 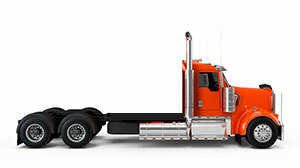 • Ronnie from Hagerstown, MD : scheduled their service! • Ronnie from Hagerstown, MD : requested their service! • David from Glendale, AZ : rated their service 5 of 5! • David from Glendale, AZ : completed their service! 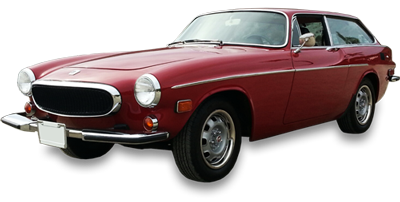 • Mark from San Bernardino, CA : completed their service! • Heather from Fort Worth, TX : scheduled their service! • Heather from Fort Worth, TX : requested their service! • Kate from Hopkinton, MA : rated their service 5 of 5! • Marco from Jersey City, NJ : requested their service! • Amy from Beaverton, OR : requested their service! • Jim from Beaverton, OR : scheduled their service! • Bill from Livonia, MI : scheduled their service! • Jacob from Gilbert, AZ : scheduled their service! • Nirmala from Seattle, WA : requested their service! • Eric from Clackamas, OR : completed their service! • Mike from Finksburg, MD : scheduled their service! • Jonathan from Harrisburg, PA : scheduled their service! • Brad from Tempe, AZ : scheduled their service! • Brad from Tempe, AZ : requested their service! • Mike from Finksburg, MD : requested their service! • Jonathan from Harrisburg, PA : requested their service! • Jacob from Gilbert, AZ : requested their service! • Mike from South Bound Brook, NJ : rated their service 5 of 5! Search reviews in your area! Welcome to CarDetailing.com, your one stop source for all your mobile auto detailing needs. Don't have time to waste at a car wash? Don't have the supplies to do it yourself? Let a CarDetailing.com Certified Detailing Specialist come to you and make your car look like new! Our Specialists use only the highest quality car care products. Please select your type to view our detailing packages! 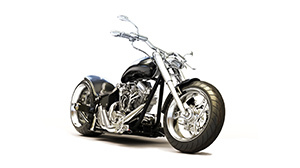 Get your motorcycle looking shiny and new with our complete Motorcycle Detailing Package! 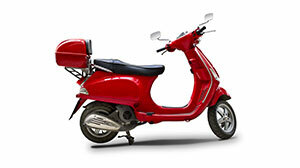 Get your scooter looking shiny and new with our complete Motorcycle Detailing Package! 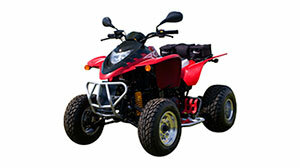 Get your ATV looking shiny and new with our complete ATV Detailing Package! 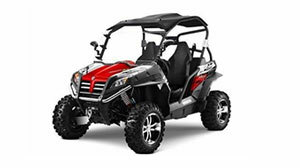 Get your UTV looking shiny and new with our complete UTV Detailing Package! 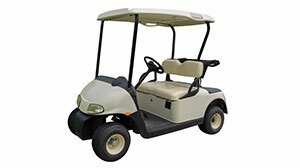 Get your golf cart looking shiny and new with our complete Golf Cart Detailing Package! 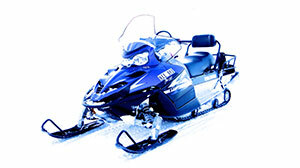 Get your snowmobile looking shiny and new with our complete Snowmobile Detailing Package! 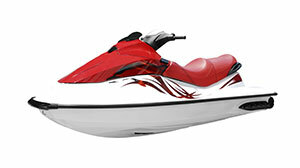 Get your personal watercraft looking great with this thorough package! Our Personal Watercraft Titanium Package includes a complete wash and wax and buffing and compounding to restore it to best possible condition! Our thorough Ski Boat Platinum Detailing Package includes a exterior wash (trailer included!) and wax with full interior detailing. Our top of the line Ski Boat Titanium Detailing Package includes everything in the Platinum Package with additional cut and buff to remove oxidation and compounding to restore luster. 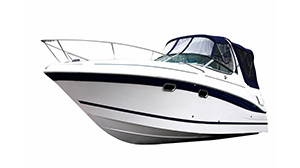 Get the exterior of your boat looking great with our Ski Boat Exterior Detailing Package! Our absolute best exterior package for your boat! The Ski Boat Exterior Titanium Detailing Package includes a complete wash and wax with cut and buff to remove oxidation and compound to restore shine and luster. 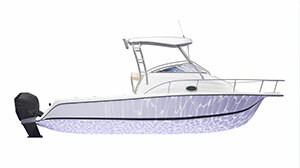 Get your boat interior looking fantastic with our Ski Boat Interior Detailing Package! Our thorough Speed Boat Platinum Detailing Package includes a exterior wash (trailer included!) and wax with full interior detailing. 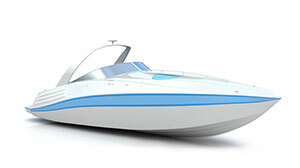 Our top of the line Speed Boat Titanium Detailing Package includes everything in the Platinum Package with additional cut and buff to remove oxidation and compounding to restore luster. Get the exterior of your boat looking great with our Speed Boat Exterior Detailing Package! Our absolute best exterior package for your boat! The Speed Boat Exterior Titanium Detailing Package includes a complete wash and wax with cut and buff to remove oxidation and compound to restore shine and luster. Get your boat interior looking fantastic with our Speed Boat Interior Detailing Package! Our thorough Cruiser Boat Platinum Detailing Package includes a exterior wash (trailer included!) and wax with full interior detailing. Our top of the line Cruiser Boat Titanium Detailing Package includes everything in the Platinum Package with additional cut and buff to remove oxidation and compounding to restore luster. Get the exterior of your boat looking great with our Cruiser Boat Exterior Detailing Package! Our absolute best exterior package for your boat! The Cruiser Boat Exterior Titanium Detailing Package includes a complete wash and wax with cut and buff to remove oxidation and compound to restore shine and luster. Get your boat interior looking fantastic with our Cruiser Boat Interior Detailing Package! Our thorough Center Console Boat Platinum Detailing Package includes a exterior wash (trailer included!) and wax with full interior detailing. Our top of the line Center Console Boat Titanium Detailing Package includes everything in the Platinum Package with additional cut and buff to remove oxidation and compounding to restore luster. 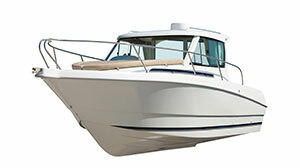 Get the exterior of your boat looking great with our Center Console Boat Exterior Detailing Package! Our absolute best exterior package for your boat! 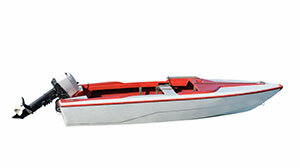 The Center Console Boat Exterior Titanium Detailing Package includes a complete wash and wax with cut and buff to remove oxidation and compound to restore shine and luster. Get your boat interior looking fantastic with our Center Console Boat Interior Detailing Package! Our thorough Sail Boat Platinum Detailing Package includes a exterior wash (trailer included!) and wax with full interior detailing. Our top of the line Sail Boat Titanium Detailing Package includes everything in the Platinum Package with additional cut and buff to remove oxidation and compounding to restore luster. 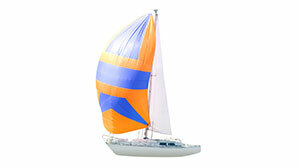 Get the exterior of your boat looking great with our Sail Boat Exterior Detailing Package! Our absolute best exterior package for your boat! The Sail Boat Exterior Titanium Detailing Package includes a complete wash and wax with cut and buff to remove oxidation and compound to restore shine and luster. Get your boat interior looking fantastic with our Sail Boat Interior Detailing Package! Our thorough Yacht Platinum Detailing Package includes a exterior wash (trailer included!) and wax with full interior detailing. Our top of the line Yacht Titanium Detailing Package includes everything in the Platinum Package with additional cut and buff to remove oxidation and compounding to restore luster. Get the exterior of your boat looking great with our Yacht Exterior Detailing Package! Our absolute best exterior package for your boat! 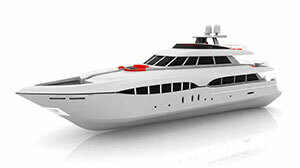 The Yacht Exterior Titanium Detailing Package includes a complete wash and wax with cut and buff to remove oxidation and compound to restore shine and luster. Get your boat interior looking fantastic with our Yacht Interior Detailing Package! 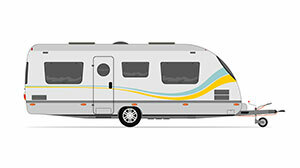 Our excellent RV Gold Detailing Package includes a complete exterior detail and basic interior detail of your RV. Get ready for your next road trip! 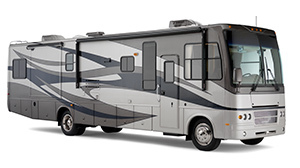 Our RV Platinum Detailing Package includes a complete exterior wash and hand wax and full interior detail. Your RV has never looked so good! Our top of the line RV Titanium Package includes a full exterior wash and wax with cut and buff services to remove oxidation and compounding to restore faded fiberglass. Includes a complete interior detail! Let us come to you and clean that dirty RV! Interior looking good but the exterior needs some love? Look no further than our RV Wash and Wax package! Our top of the line RV detailing package for the exterior only includes a complete wash, wax, cut and buff, and compounding to restore the outside of your RV to it's best possible state. 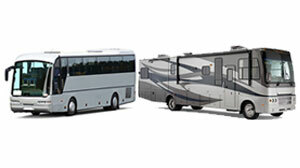 Get your RV's interior looking its best with our RV Interior Only Detailing Package! Need basic cleaning in and out? Here's the package for you! Our excellent Travel Trailer Gold Detailing Package includes a complete exterior detail and basic interior detail of your trailer. Our Travel Trailer Platinum Detailing Package includes a complete exterior wash and hand wax and full interior detail. Your trailer has never looked so good! Our top of the line Travel Trailer Titanium Package includes a full exterior wash and wax with cut and buff services to remove oxidation and compounding to restore faded fiberglass. Includes a complete interior detail! Interior looking good but the exterior needs some love? Look no further than our Travel Trailer Wash and Wax package! Let us come to you and clean that dirty Travel Trailer! Our top of the line travel trailer detailing package for the exterior only includes a complete wash, wax, cut and buff, and compounding to restore the outside of your trailer to it's best possible state. Get your trailer's interior looking its best with our Travel Trailer Interior Only Detailing Package! 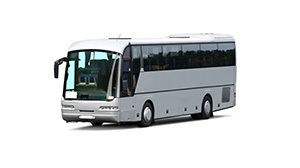 Our excellent Bus Gold Detailing Package includes a complete exterior wash and full interior detail of your Bus. Get ready for your next voyage! Our Sleeper Cab Gold Detailing Package includes a thorough interior detail with shampoo and exterior wash and mini-detail. Our Sleeper Cab Platinum Detailing Package includes everything in our Gold Package with an added high quality hand wax. 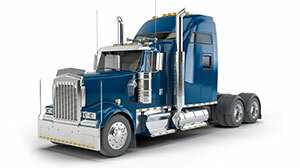 Our top of the line Sleeper Cab Titanium Detailing Package includes everything in our Platinum Package with an additional cut and buff and compounding services to restore luster to your truck's paint. Our Sleeper Cab Exterior Detailing Package includes a complete wash and wax and more. Get the exterior of your rig looking its absolute best with our Sleeper Cab Exterior Titanium Detailing Package. Your interior a total mess? Get it looking great with our thorough Sleeper Cab Super Interior Detailing Package! Our Day Cab Gold Detailing Package includes a thorough interior detail with shampoo and exterior wash and mini-detail. Our Day Cab Platinum Detailing Package includes everything in our Gold Package with an added high quality hand wax. 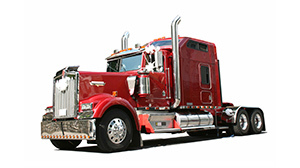 Our top of the line Day Cab Titanium Detailing Package includes everything in our Platinum Package with an additional cut and buff and compounding services to restore luster to your truck's paint. Our Day Cab Exterior Detailing Package includes a complete wash and wax and more. Get the exterior of your rig looking its absolute best with our Day Cab Exterior Titanium Detailing Package. Your interior a total mess? Get it looking great with our thorough Day Cab Super Interior Detailing Package! CarDetailing.com can put together the perfect package of services to fit your company's needs. We can detail your fleet of cars, vans, trucks, buses, big rigs, boats, aircraft, construction equipment, agricultural equipment, heavy machinery, tractors, and more. Want to host a detailing event for your employees? We offer a wide range of services and payment options. Let us handle the details! CarDetailing.com network consists of hundreds of professional detailers across the country that meet our stringent requirements for insurance, equipment, experience and performance. We specialize in mobile detailers, so WE COME TO YOU! No need to drive to a brick and mortar location and wait around for hours or arrange for rides to and from the service location. It's simply the easiest and most convenient way to get your car detailed. We schedule appointments every day of the week between 7am and 7pm and even have 24-hour coverage for emergencies in some areas. Same/day -- next day service is generally available in most areas, but cannot be guaranteed at all times. Once you submit your service request, we will provide you with appointment options via text, email, or phone. 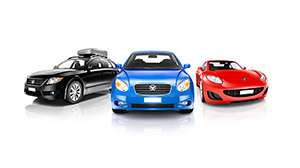 Submit your vehicle information at Our Scheduling Page and all packages will be priced for your vehicle. You can also see exactly what services are included in each package. The charge includes travel to your location unless a specific trip charge is quoted. The best way to assure satisfaction is to thoroughly review your vehicle BEFORE the detailer leaves. In the event that something comes to light after the service, we will offer to remedy any issues if you are not satisfied with the results. All of our customers are asked to review detailer performance on a 0-5 scale, 5 being the best. Your rating as well as any comments will be shared with the service provider. We expect CarDetailing.com providers to maintain a 4-star rating to remain in the network. Reviews are posted on the home page and we can also forward reviews for the specific detailer in your area. CarDetailing.com Independent Detailing Specialists are now servicing cities and counties throughout the US! Check out our regional pages from around the country!